1. 2. 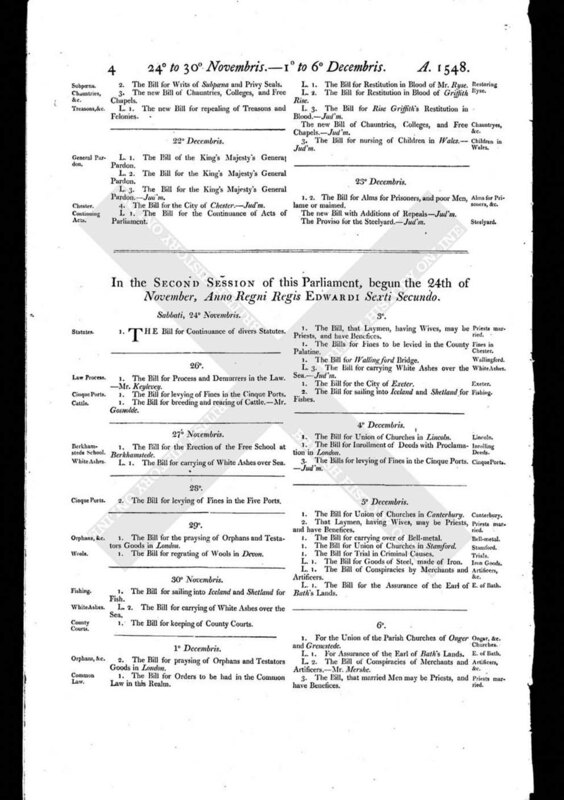 The Bill for Alms for Prisoners, and poor Men, lame or maimed. The new Bill with Additions of Repeals - Jud'm. The Proviso for the Steelyard. - Jud'm.